That isn’t asking for a close-down, to the contrary, actually. Part of being a dirty time-casual is that there are way more gaming options out there than could possibly fit in the schedule. This is both in relation to games in general and in terms of MMORPGs. I’ll take a look at the latter here. Even when I was very happy to stay in Elder Scrolls Online for the first half of the year as well as with my choice for the second half, there are quite a few MMORPGs I’d like to see through to the end. 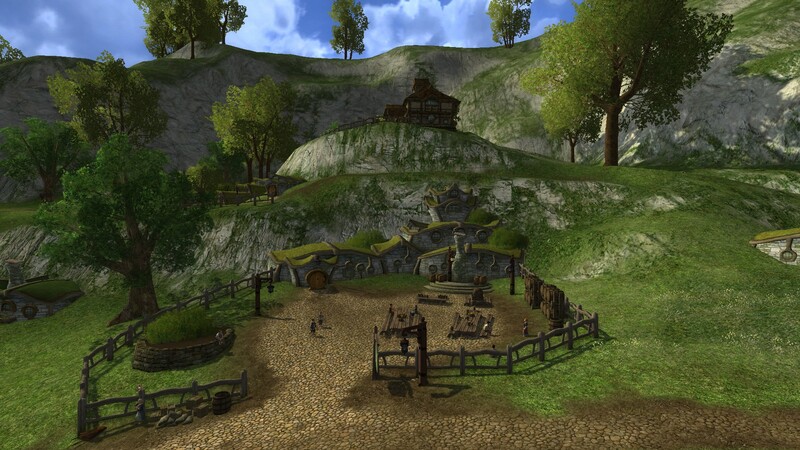 Lord of the Rings Online: If I were able to stick with it, i’d be playing it right now. Lotro is beautiful, especially the landscapes. Turbine did their very best to recreate one of the most iconic fantasy worlds out there- and succeeded, in my opinion. Unfortunately, I think its time comes to an end (not official! just gut-feeling) in the coming year, due to licensing. I’m sure they’d keep the lights on as long as possible- but when they aren’t allowed anymore? Who knows. Could WB save it or simply not care to shut it down? Possible, I don’t know. But we do know the license is up in 2017. Still, I could play it whenever the mood strikes- and I possibly will at some point, but whenever i think about the need to see this recreation of middle-earth, I remember Moria and a sigh escapes my mouth. Honestly, not even Gandalf wanted to go there. Could Lotro still be a subscription game if they had chosen overland zones for their first expansion? Maybe i’ll get past that, at one point. I hope so. 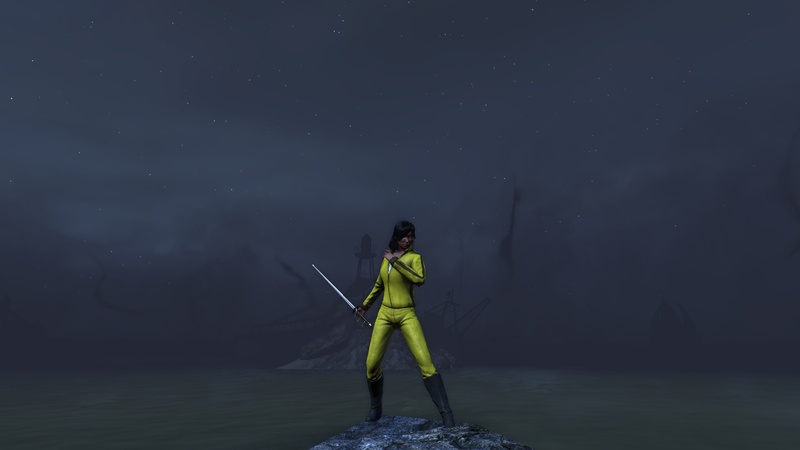 The Secret World: No problems with this game whatsoever, just difficulty to put it into my rotation. Sure, it only has missions as content, but it has one of the most engaging storylines in the genre. Blade and Soul: There aren’t many MMORPGs that have an eastern setting and flavor of story while being a triple-A product and quite fun to play. Blade and Soul is one of them. 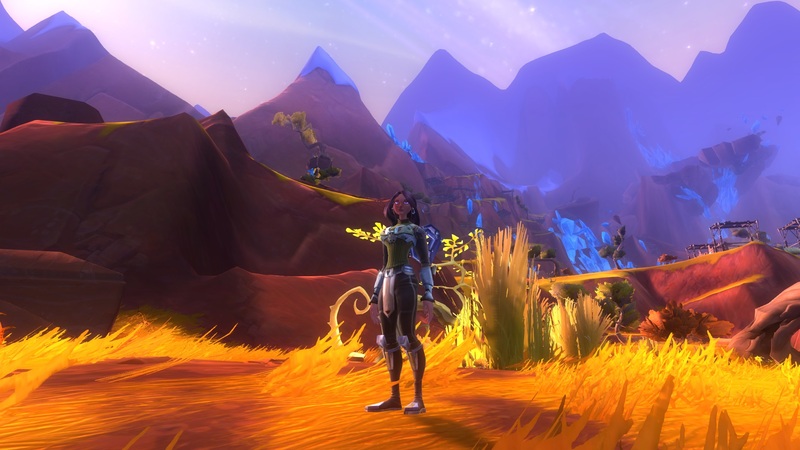 Wildstar: Look, revenue is increasing…but it’s still at $2 million a quarter. That’s really not all that much. I still feel this is undeserved- it is a solid MMORPG maybe released at a time when many were tired of that old formula and Wildstar maybe didn’t do enough to shake it up. I have to confess that here, i wouldn’t be in it for the game, the zones, the story, the atmosphere, but the housing. In Wildstar, housing would be my endgame; unfortunately, I feel it starts too slow despite being introduced at an early level. 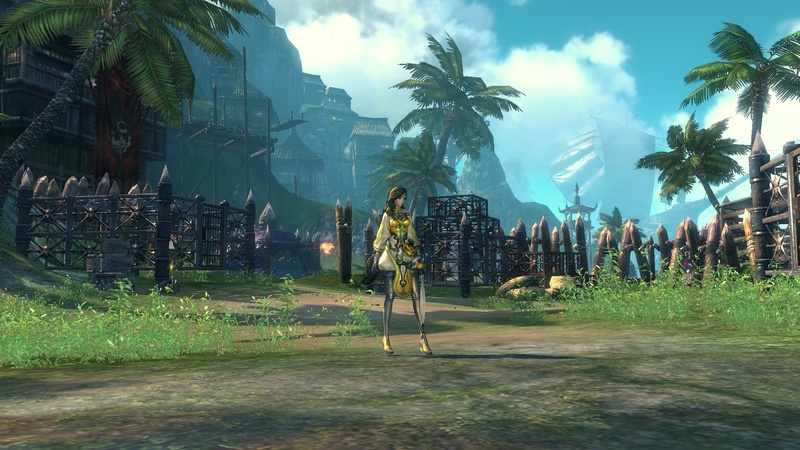 If there’s one game i’d like to put a small focus on besides ESO this summer, it is Blade&Soul. Yesterday marked the release of a new class, the Soul Fighter, so i went ahead and created one, as i imagine it might just be the class i’ve been waiting for, being a “hybrid” of ranged and melee fighting, not too difficult but still interesting to play. I don’t know if the last thing is really true, i’ve read that the leveling experience is on the lengthy side of things, but i guess i’ll see about that. If anything, not much has changed since i gave my first impressions. I still like the combat and the zone design while still thinking this is just a mainstay MMORPG for those who like the gamey parts of MMOs- it’s not much of a world. As with Aion, right now there’s a tunnel syndrome, as you’re questing from hub to hub. Take all this with a grain of salt, though, as my furthest character is level 11, not able to do much in terms of skill tree building, crafting, dungeon running or anything at all. And just like before, some systems are somewhat difficult to get a hold on. Now i know that we’ll basically keep our Hongmoon weapons (granted to us after the tutorial) the whole time while upgrading them. There’ll also be stages where you need a “breakthrough” to advance that weapon further. Upgrading your weapon works by “enchanting” your weapon with other weapon drops and gems that help in the progress, as well. A breakthrough is, from what i understand, a stage where not any weapon will do- you’ll need to get a special one. The first one i do need is a Stalker Bracer- there are two ways to get a hold of it: first, you’ll get some type of stone by questing in Everdusk that you can then use to spin a wheel of fortune. It will drop Stalker items quite often, but you’ll need that special item to advance your hongmoon weapon. I’m sad to say i only got it once and used it to upgrade my weapon, but before i was at the breakthrough stage- which means i need to get a second one. But that doesn’t seem to be so easy, as those stones are now more difficult to come by (i only know of one daily quest that grants them) and even if i collect a few, i still need to get lucky with the drop. The other way would be to simply buy the weapon from the player market, which is possible, but expensive. I’m sure this is due to the fact that the Soul Fighter is the new hotness, but it comes in at around 25 silver right now- and i have 7. Of course, i do have some of the other classes’ needed weapons, but they only sell for a fraction of that. Meanwhile, i am ready to move on to the next zone, but i think i’ll need to keep an eye back into Everdusk for that breakthrough armor. It’s a strange system with a lot of RNG involved. I guess i could play another character to Everdusk and see if she’s lucky, but that’s off the cards for now. Server-wise, i went with Windrest this time around. The experience on the german server wasn’t all too interesting (although one has to note the absence of gold sellers), mainly because there were no other people around to fight the first world boss with. While i’m planning to stay solo it’s still nice to be able to find other people when it’s welcome or needed. And as there’s possibly no chance my ESO guildies would take Blade and Soul up, it’s fine to play on an international server. Other than that, i’m slowly getting the hang of game and class- and there is huge fun to be had in Blade and Soul. It’s the one game i’ve experienced where your skill in playing determines the outcome of a fight just as much as your character’s level- B&S can get downright difficult, i’ve learned that already on my Force Master who’s sulking in a cave thinking about a strategy to fight some boss. The Soul Fighter is a very interesting class- i expected it to be able to switch freely between ranged and melee, but that’s not entirely true. Your standard stance is melee, but you can switch over to ranged at any time. After a while, you’ll switch back to melee. The Soul Fighter is a breeze- when ranged, there’s a convenient AoE damage skill that hits quite hard- on the other hand, in the melee stance there’s a gap closer as well as a counterattack and combos enabling the Soul Fighter to do more damage. It’s fun to play, not too difficult yet still interesting to play as a Soul Fighter, as the “player skill ceiling” seems to be a bit higher than, say, of the Destroyer, which is an easy class to understand but doesn’t offer that much in terms of “easy to learn, hard to master”. I’ve read that players will get a free character slot with the release of the Soul Fighter but had some trouble in finding out how to get it- it’s simple, but i guess i expected it to get applied automatically when logging in or something. So, all you have to do to claim your free character slot is to get in game, open the ingame store and purchase the character slot voucher for 0 NC coin. So our small guild is taking a summer break from guild activities from the end of june to the end of august. May and especially june have shown already that this is a smart decision, as the last couple of events had some last-minute-cancellations already. For the most part it didn’t matter as we were still more than a full group to do our stuff. Yesterday, though, marked the first time i had to cancel on short notice. As i’ve said, i try my best to attend guild events that i set up and yesterday, we wanted to try and form a group for a dungeon. As far as i know, we would’ve been only three people attending anyway, so we probably would have opted to do something different. I knew i had something else to do, but i was confident that (a) that would be wrapped up just before 9 p.m. and (b) our son would be so tired by that time that he’d basically fall asleep as soon as he lay in bed. As it turned out, i was wrong on both accounts- i was home at 9.30 and greeted by a still very happy and awake son. It took him until 10 p.m. to sleep, by 10.15 i was sitting at the pc, too late to start anything really and read the message from another guildie that we’d just cancel the event. While i’m really unhappy that it was me who didn’t show up, the truth is that real life can interfer with my gaming plans, as well. In the next couple of weeks/months, i’ll be even more busy, as we’re moving house in the end of june, our son has to change kindergarten and we’ll have to do some stuff in our old house. So july’s free time will be occupied by stuff like that (in addition to watching football/soccer, as there is the Euro 2016). My guess is that settling into the new house will keep us busy in august, as well. Nonetheless, i have gaming-related plans for these two months, if i can get some gaming time in. For me personally, the guild’s summer break means i’ll rejoice in a two-month MMO wanderlust, if i want to. Right now, my limited time to play basically leads me to playing Elder Scrolls Online exclusively, which is a great thing as i like the game a lot and always wanted to settle down. On the other hand, the list of games i’d like to play from time to time grew significantly in the last couple of weeks. I have a few goals for ESO, but i’ll be an MMO hopper for the upcoming months. A word on EVE Online: still love it, but i think i’ll take a break for the summer, at least. I’m still a bloody newbie and playing once a week for 30 minutes won’t do much to change that. I’ll need to put EVE on hold until i begin to spend more time gaming again. Two months might be enough to get my main character from level 37 to 50. That should be around a level a week; there’s actually a chance i might be able to do that. It would be nice to have a character on maxlevel to get into collecting champion points and being able to do DLC content in a more meaningful manner. I feel i outlevel ESO’s zones too quickly- i don’t even have an idea where my ideal quest hub is right now, the quests i’m currently on in Malabal Tor are all green. And that’s just from dungeon delving and exploring Cyrodiil with the guild. This won’t be a problem anymore when One Tamriel gets released, but we’re not there yet. Oh boy, do i want to visit places. I’ll probably play some or all of the following games in the next couple of months. Blade and Soul. I think Blade and Soul can be an excellent game to play in short sessions just for the fun of it. The combat is great, i like the setting, the graphics, the style. I’m really looking forward to playing it some more and probably trying the Soul Fighter, which seems to be quite a fun class. I’ve played some Blade and Soul in the last couple of days and i guess the main thing i need to decide is whether i’d like to move to an international server with new characers as the german one i’m on seems…kind of empty. The Secret World. TSW is always on my to-do-list. I so hope to see the content this game offers some day. For me, Funcom are the good guys of the genre and i’m happy they seem to have put their financial trouble behind for now. There’s also the museum of the occult coming up, so i’m curious. And it’s the one MMO where our guild might actually meet for an out-of-ESO experience. Wildstar. The housing is the biggest reason for Wildstar to be on this list. Others are the recent Steam launch and the fact that this MMO is on my personal 8-Ball-endangered-games list. The marketing “effort” Carbine and NCSoft put into their Steam launch didn’t do much in terms of confidence in this game. It’s a shame, actually, as the housing is great, the game does look good, offers a wide array of activities…for me it’s the combat and the bland questing experience that make the game unenjoyable, but i’ll go and visit it anyway. Lord of the Rings Online. Just like with TSW, i’d like to see the content here- or to be more precise, the landscapes. World of Warcraft. Yes, i might. But i’ll avoid to sub until i’m level 20 with my newly created disc priest. My main motivation here is, again, landscapes, as Blizzard puts out very beautiful zone designs. I always wanted to see the WotLK zones in particular. This is probably going nowhere, but for now, it is included. Tera. I might even install this. I have a new PC, the game looks good and the combat is good. Also because of it being featured on Rockpapershotgun yesterday. Single Player. The backlog is long. I’d like to build a City in Cities: Skylines, a space empire in Stellaris, i’d like to roleplay in Skyrim, The Witcher 3, Mass Effect, shoot others in Overwatch and more. I know this is way too much for two months- heck, if i focused, i’d probably be able to do most of it in two years. My main focus (besides ESO) will be on Blade&Soul, because my guess is that this will be the game that fits best into available time and playing mood- i think it can be played in shorter sessions, it seems to offer great solo content (that 100-level-thing interests me), it’s fun to play with the great combat, it offers a story i’m interested in and i guess it’s perfectly fine to be played as an alone-together-murder-simulator MMO. Which might just be what i’ll be looking for in the next couple of months. One thing i used to do on my old space and stopped later for some reason was highlighting a few posts i enjoyed reading during a week- i’d like to take that up again here on my new site. My new blogging home is still far from being set up in the way i’d like and it’s going to be a work-in-progress for some time, still. As far as i can tell, importing the old posts won’t be done quickly- there’s still a workaround i’m going to try and if it works, i’ll have my old posts here, as well, but if it doesn’t work i might settle on getting a few posts i like over here. While browsing through available Themes for this blog i found the one i’m using right now and instantly liked it- i couldn’t put my finger on it, because it misses a few features i’d like a Theme to have (nice, big pictures on individual post pages, for instance) when it hit me- this seems to be the Theme Massively Overpowered uses. I’m still debating whether i should keep it, because it doesn’t feel so good using the same Theme- but on the other hand, it’s not as if i’d be competition for them or that i’d do something illegal here- it’s a free Theme, after all (with optional purchase, which i’m sure they opted in for). Anyways, on to the posts i /saved in my Feedly this week. I like it when “old faces” return- this year, a blog resurfaced that i used to read before the author stopped writing- DocHoliday’s MMO Saloon has now returned as Doc’s MMO journey. He plans to cover a bit more than MMO’s this time, but spends his time in The Secret World again. 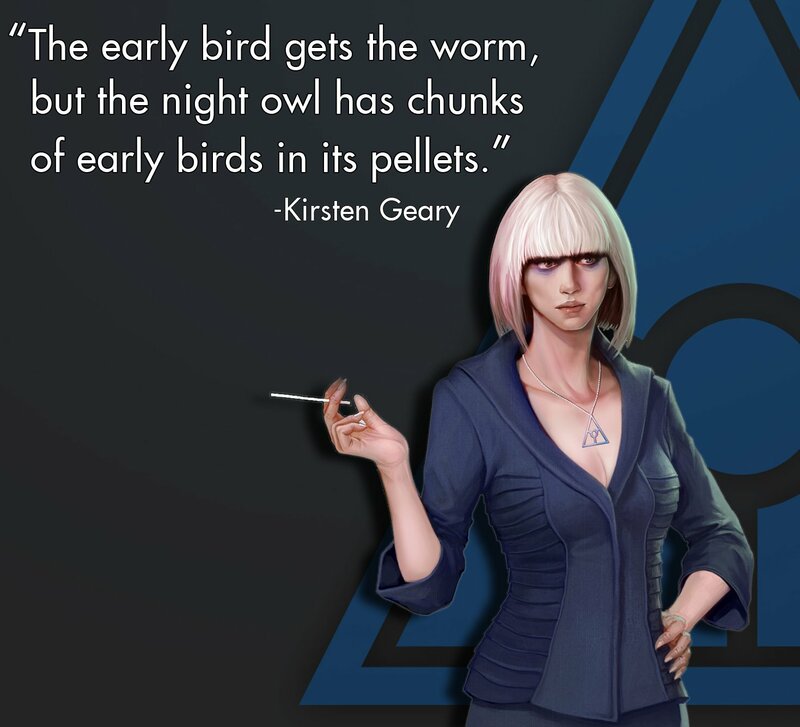 Here’s his take on the new subscriber benefits in The Secret World. Ironweakness gives insight into his state of mind which he’s monicked “Zone Fatigue“- basically, it’s the feeling you get when you just want to leave one zone for the next one. Especially if you want to complete everything a zone has to offer, you’ll often run into trouble such as Overlevelling content or simply that a zone feels a bit like a drag. Blade&Soul’s reception is surprisingly good. After most posts i read about the early impressions gave the vibe of a nice, albeit not very special game, it seems to grow on those who stick with it a bit longer. Bhagpuss more or less stumbled into the game, but seems to enjoy it even more the longer he’s playing. 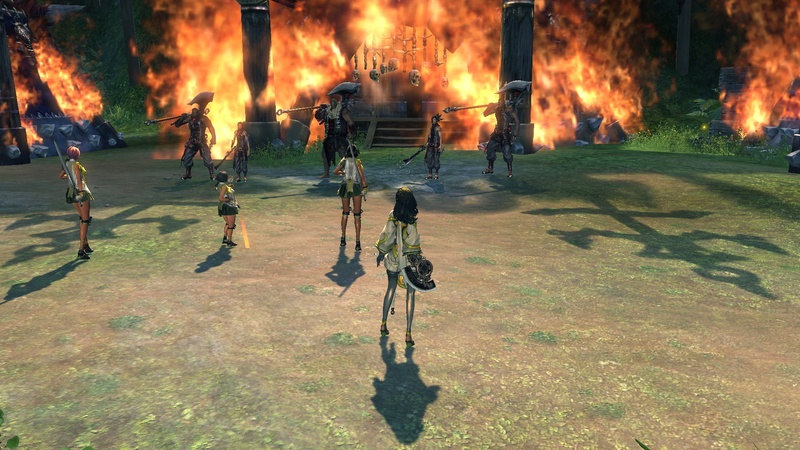 And surprisingly, it’s neither the combat nor the story, but a combination of good (world-)design choices, a connection to the character as well as its pet and scenery/setting at large in Blade&Soul. Interestingly, guilds- or guild management, to be more precise, is not a topic you can often read about in blogs. Maybe it’s because it’s difficult to do these kind of posts without offending anyone, especially if the guildies know about your blog. Navimie touches on the subject of guild management quite regularly on The Daily Frostwolf, this time it’s about Sunshine Patriots and Winter Soldiers. I like what she (?) is doing here, because it’s hands-on and down-to-earth experience, opinion and advice. This week, i discovered the Tales of Tamriel podcast. Listening to them saying they gained like a few hundred listeners in the last few months makes me think most of those who are interested in ESO-specific podcasts already know about them, but i’d still like to point it out. It’s a great mix of news, opinion and gameplay experience with a bit of banter and lots of information regarding Elder Scrolls Online. I can’t believe they can talk about one game for 90 minutes and it’s interesting to listen to the whole time. They also do it live and on youtube, as well, so you can actually look and see stuff. Regarding Podcasts, Justin from Massively Overpowered put together a great list of game specific podcasts, take a look if you need more podcasts in your life.